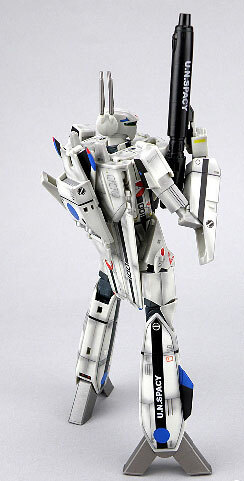 Would you spend an additional 5000 yen to get a weathered version of Maximillian Jenius' VF-1S from the Macross - Do You Remember Love? movie? 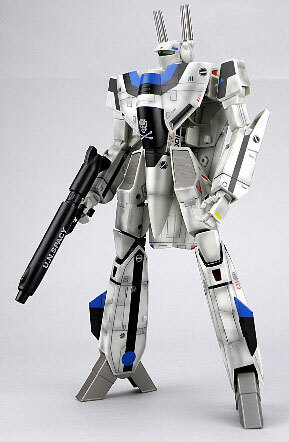 Apparently Yamato Toys thinks you would. 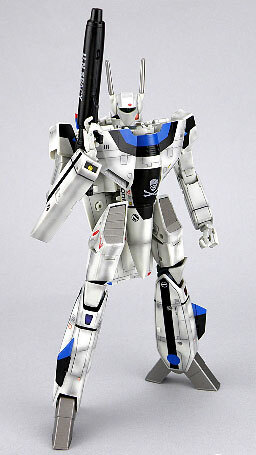 This version will be available by June 2009 and will retail for Y15,540. 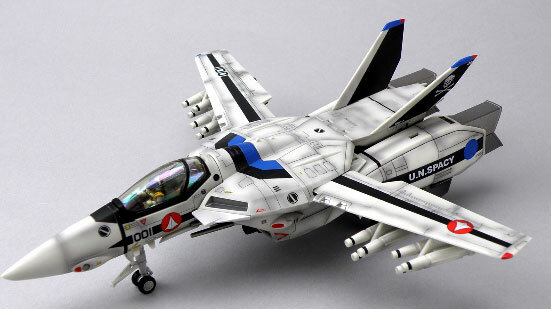 This can be considered a special collection because one of their selling points with this is that only a limited number will be produced because the factory can only create around 3 of this per day because of the skill level required to put on the weathering coat. And since its made by a person, applying his own judgement and eye for "weathering", you could assume that yours will be one of a kind. Judging by the looks of the weathering, the method used could be crushed charcoal applied by a brush then coated with clear coat. Other methods of weathering is by means of an oil wash technique. 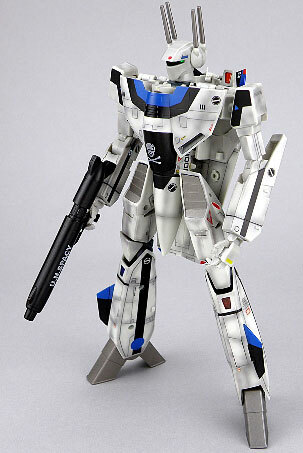 The additional 5000 yen charge on this version versus the regular VF-1S kinda gives you an idea how much to charge for a weathering job on a Valkyrie. 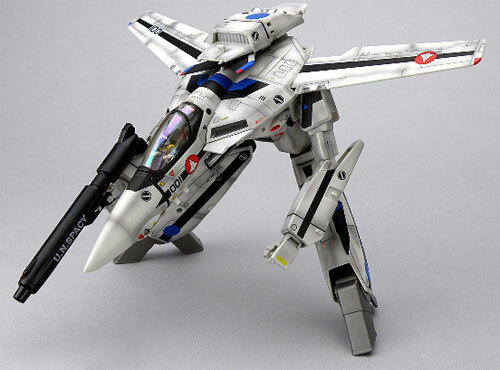 More information on the VF-1S found at their site.